For dailies on this project the R3D files where imported into the IQ Pablo. We used the IQ Pablo's Qgrade utility to playback the media and color correct the dailies through our Davinci 2K system. For the amount of raw footage we received this was going to be the quickest way to turnaround color corrected dailies. The color corrected dailies were recorded to DVCAM for offline edit in Avid. The spot had several composite and invisible effects. The final shot in the spot is an epic panoramic. 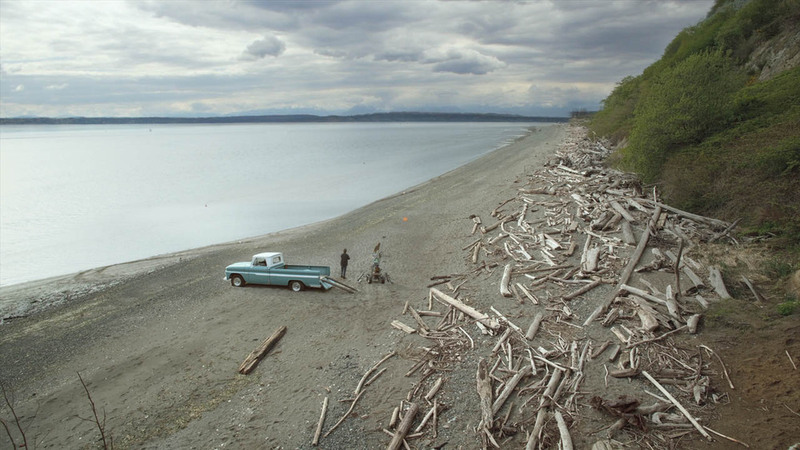 There wasn't a beach the production could get permission to drive a truck on to, so the shot had to be a composite. 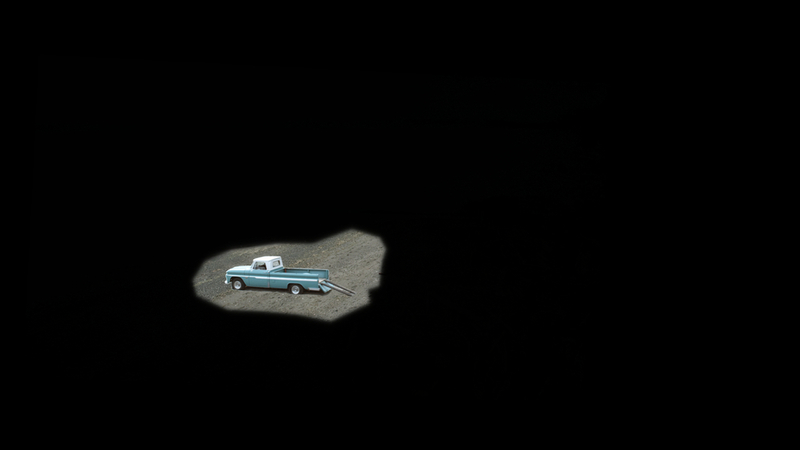 First we graded the truck shot to match the look of the rest of the spot. 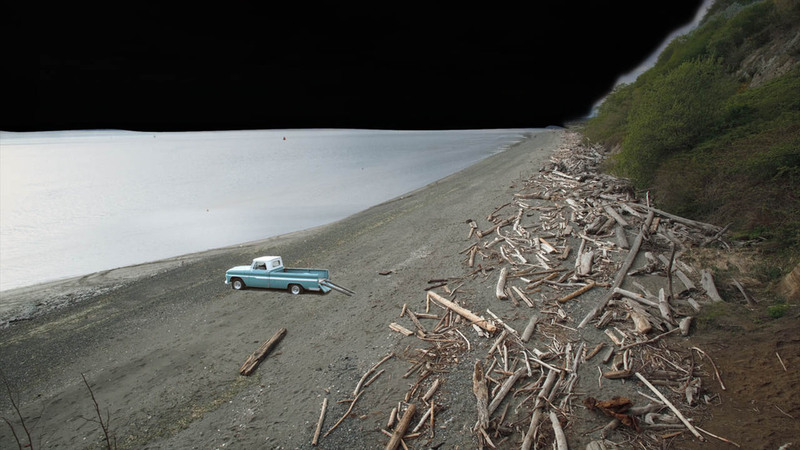 Then the truck was cut out and sand was added from a shot of a different beach. The logs, greenery, water, horizon, dramatic sky, man, dog, frisbee launcher and animated Frisbee we made were added as separate plates. Along with the shadows and dust layers for the dog it was a 17 layer composite. Click screen captures below to view the process. 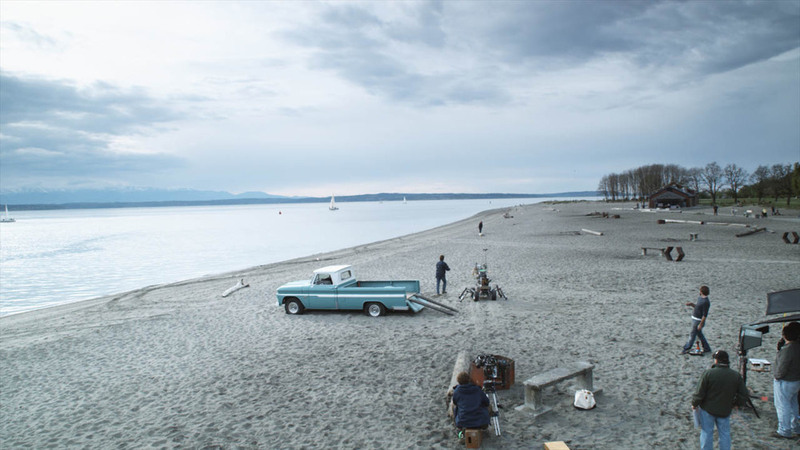 The Griswolds reunite for an advertising campaign for HomeAway launched during the 2010 Super Bowl. The campaign consisted of two :30 sec spots and a short film. Principal photography for the project was shot with RED ONE at 4K. Conform, color grading, composting, graphics and deliverables were completed at Lightpress on the iQ Pablo using the original R3D media at 4K. Due to problems with weather in Los Angeles we had to insert a new background into the final reveal of the home in the spot. Using garbage splines we cut out the exterior views through the windows and replaced them with a plate that was photographed some days later. Subtle reflections of the interior were added to the windows, as well as some shadows. Everything was graded in context and a camera move was taken from a previous shot and added to this comp. The couch in this shot had a large dimple that needed to be removed. We took a section of the couch without the dimple and used that to cover the problem area. The legal department noticed that the T-shirt the boy was wearing was not cleared for use. Instead of re-shooting or editing around these shots we tracked a new design onto the shirt. Reflections of rigging and smudges on glass were removed on a shot looking through a window. The end shot of the spot had a few invisible effects to accomplish. The vehicles the jousters are riding on had front and back wheels. The back wheels were painted out to make the vehicles look more like Segway's. The mountains in the background had some snow removed and replaced with trees.